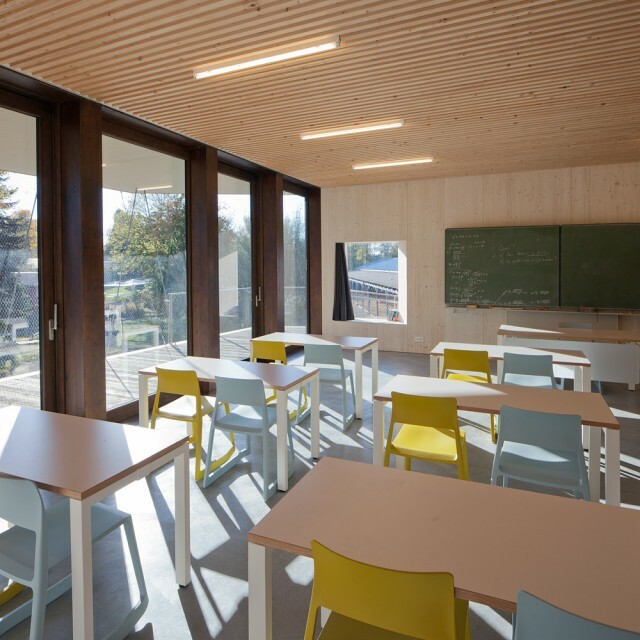 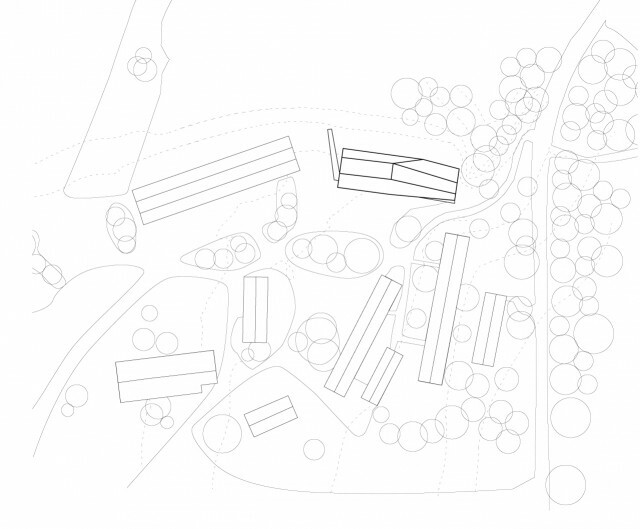 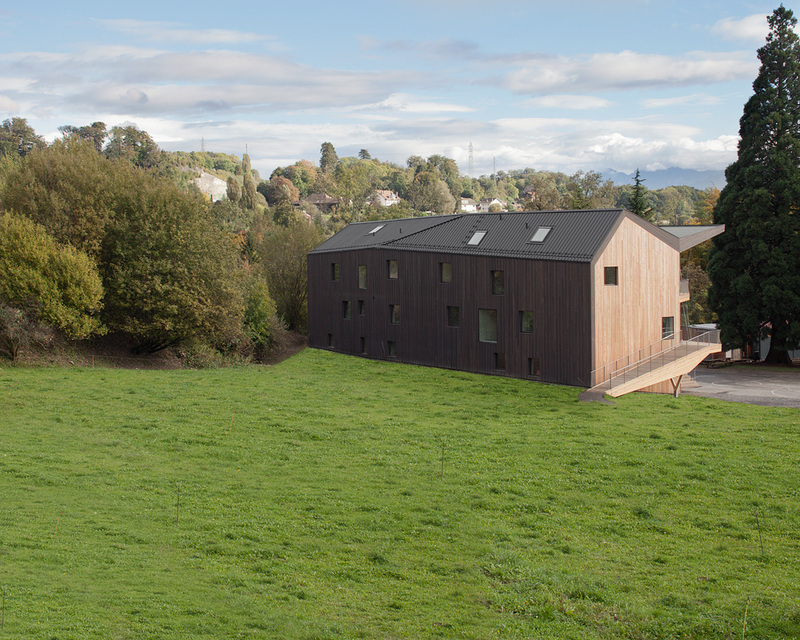 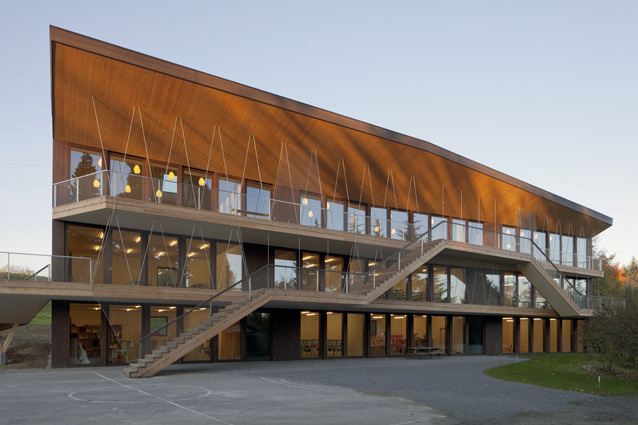 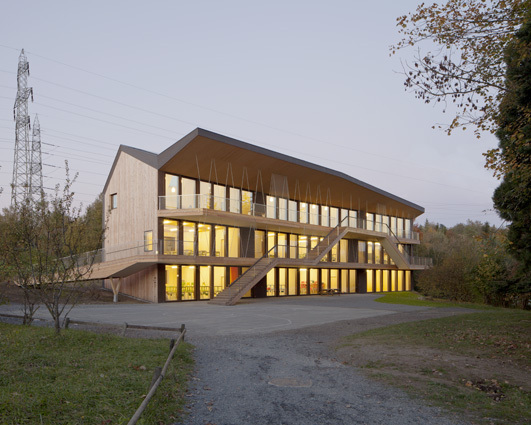 Located in a green belt of Lausanne’s western metropolitan area, the school building of Bois-Genoud integrates the Rudolf Steiner pavilion campus. 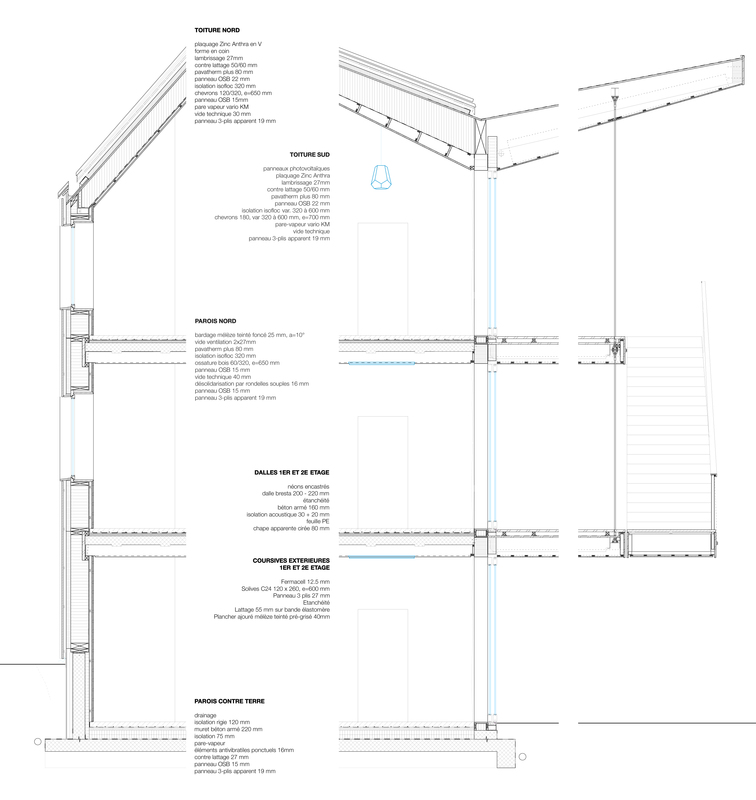 The building, accommodated on three floors, takes up the external flow standard of the existing pavilions. 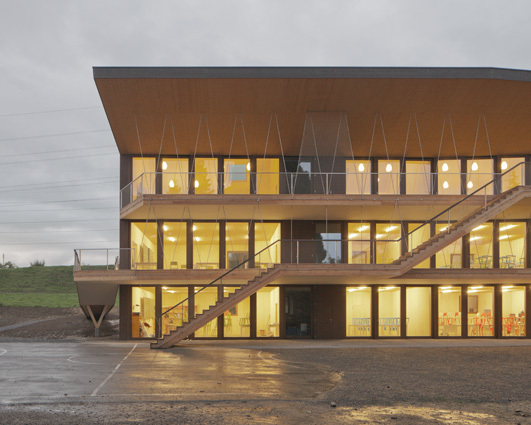 The staircase and the ramp give access to large outside corridors which lead directly to the cloakrooms and classrooms. 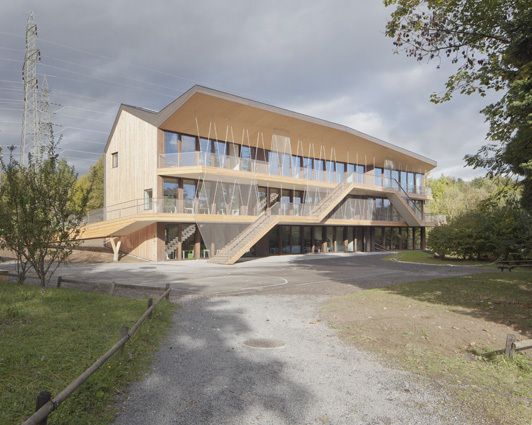 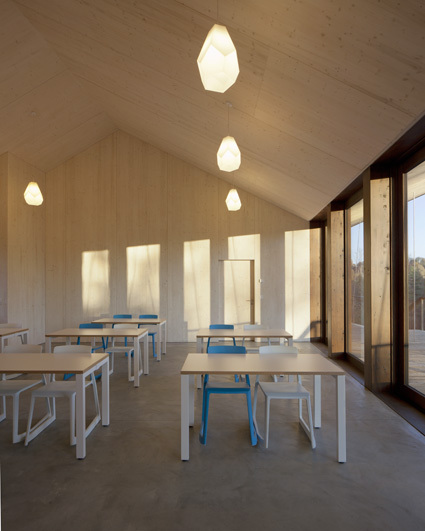 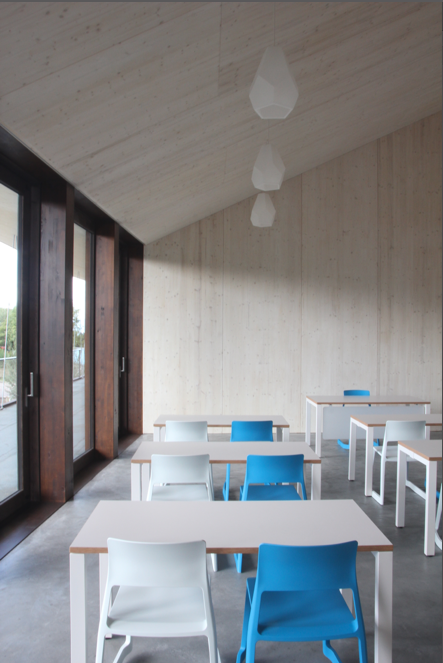 The spaces defined by these corridors are likewise used as external extensions for the classrooms thus allowing, in line with the educational principles of the school, a teaching in direct link with the surrounding natural elements. 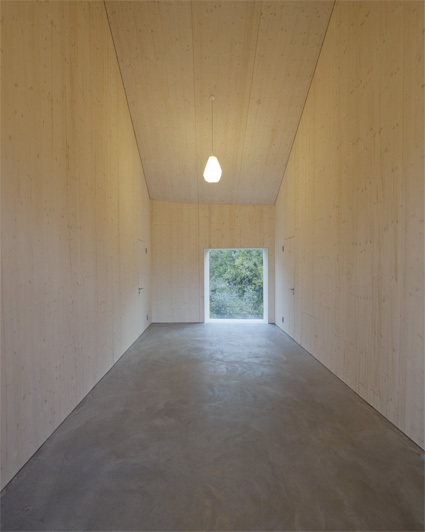 Entirely executed in woodwork, the building offers a quite sealed north façade in order to provide a sheltered position against the noise pollution brought by the nearby highway. 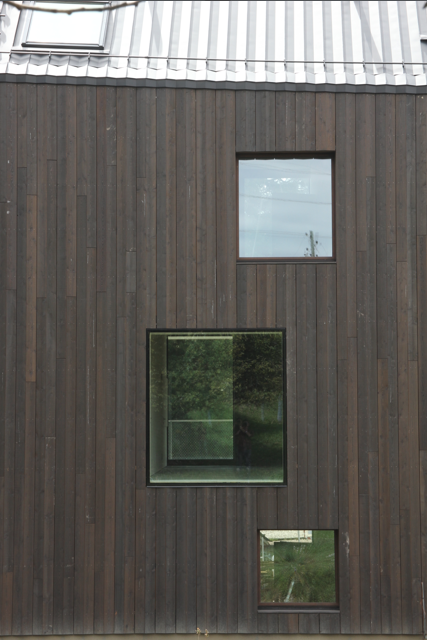 The entirely glazed southern façade works as a wide passive solar collector. 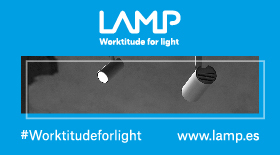 In summer time, the corridors protect the façade from the sun and allow to control the overheating of the building. 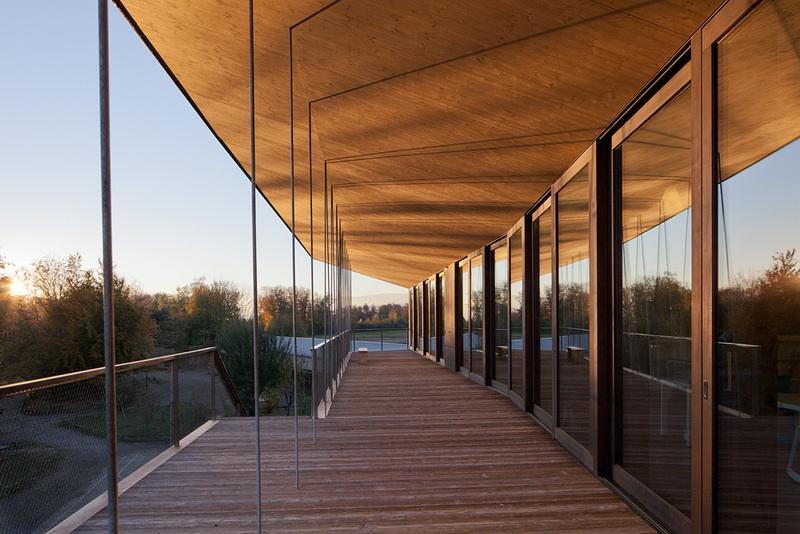 In order to stress the relationship between the interior spaces and the lush vegetation of the place, the corridors are hung from the roofing with a series of steel tie rods.